Over two weeks in June employee-volunteers from Aviva worked with 20 Year 10 pupils from Millthorpe secondary school on Project Dare. The activity consisted of one full day and a half day in Aviva’s Board Room at their Wellington Row Offices and gave pupils the opportunity to take part in a range of career based activities before working in teams on a hack style activity. All the activities the pupils took part in were designed to challenge the young people to apply their academic learning to real life activities and to aim higher and work harder at school. The activity was funded by the National Collaborative Outreach programme. Throughout the sessions pupils were supported by a range of employee volunteers from Aviva and student volunteers from the University of York. Pupils took part in an ice breaker activity before gaining an insight into the range of things that Aviva do and the range of careers that are available there. The next activity pupils took part in was a game designed by employees at Aviva to give school pupils an understanding of insurance. Pupils all had to decide whether they would insure a phone or not before being given some money and working through a range of scenarios. The scenarios showed some situations in which insurers would pay out and others where they wouldn’t to help pupils consider the benefits of insurance. Following this pupils were split into teams and the hack began. Pupils were given an understanding of what a hack is and some real life examples of when Aviva have used hacks. In teams pupils then chose to work on one of two challenges. The first was ‘how to encourage the idea of saving for the future to your generation’ and the second was ‘consider what items may need to be insured in the future, and how’. Pupils the remainder of the session working on their chosen challenge with the guidance of Aviva volunteers. 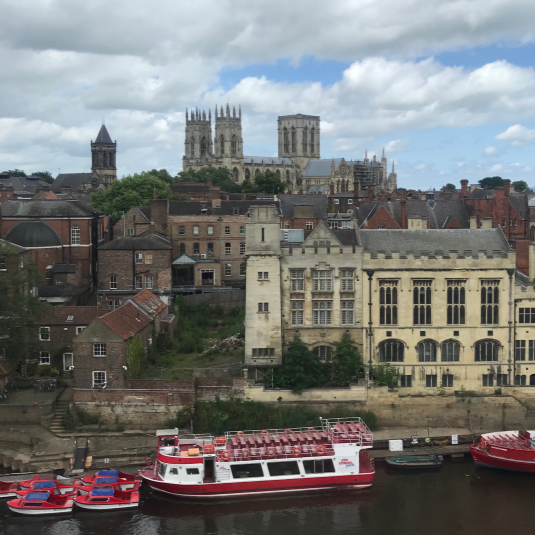 When pupils returned the following week, they worked on preparing presentations to share their ideas with a panel from Aviva and York Cares as well as their peers. Employee volunteers spent time giving the pupils presentation advice and boosting their confidence and offering support. After this it was time for the presentations. All of the volunteers in the room and the teachers from Millthorpe were absolutely blown away by how fantastic the ideas that the pupils had come up with were and the quality of the presentations. The pupils clearly described their ideas, demonstrated their excellent team work throughout the session and responded confidently to questions from the panel. Feedback from both pupils and employee-volunteers at Aviva showed that everyone had really enjoyed taking part in the project and that they had got a great deal out of it. Thank you to everyone who was involved in the activity and we hope you enjoyed it as much as we did! The Aspirations Programme seeks to bring the world of work to life by challenging young people with real-world problem-solving and empowering them to succeed. Volunteering as part of this programme is a great way to share your skills and sector with a group of young people inspiring them to aim higher and work harder. If you are interested in finding out more about our Aspirations Programme, please get in touch with us.